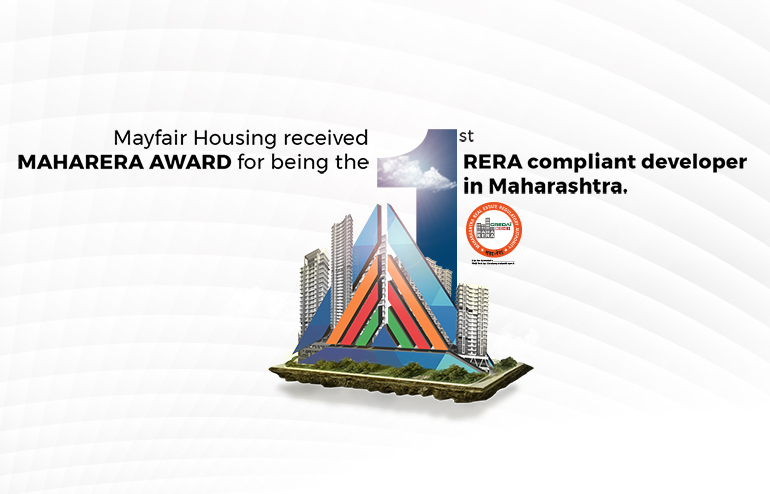 For over 50 years, we at Mayfair Housing have made our mark by constructing and providing affordable homes to the people of Mumbai. Offering international standards to meet the growing need of quality homes and workplaces has been our mantra. Once again, we have proved why we are listed among the top 10 builders in Mumbai. 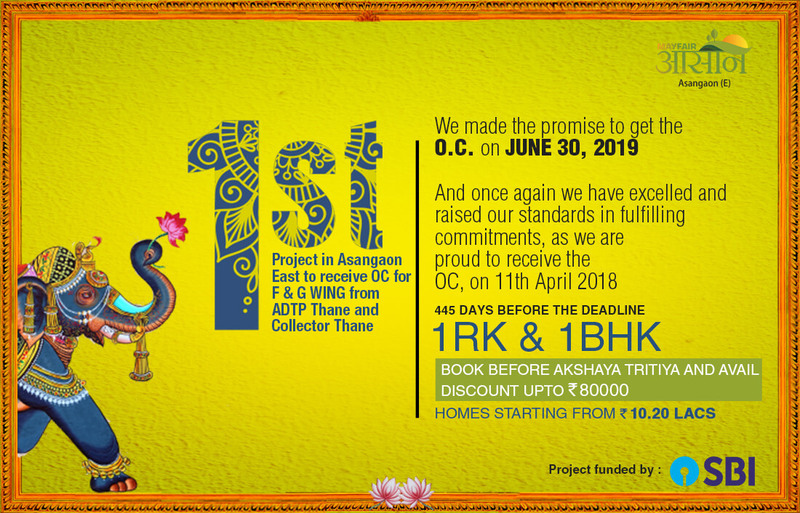 Our project – Mayfair Aasaan has received its OC 445 days before the committed due date to the customers. Mayfair Aasaan is a RERA registered project. It has become the first project in Asangaon East which has its approval from the office of ADTP Thana and Collector Thana. It is also the 1st project that has received its OC for the F & G Wing from ADTP Thana and collector Thana. The project was supposed to get the OC on 30th June 2019. However, we finished the work of both the wings well ahead of time. This is indeed a feat worth praising and taking inspiration from. Mayfair Aasaan is located in Asangaon East and promises a home for every class who dream of owning a home. The project was designed considering Affordability + Convenience = Ease of Life. The name of the project 'Aasaan' means 'Ease' in Hindi. Customers can experience ease in buying an affordable home, with the ease of getting the best amenities and adjoining lifestyle arenas. The project also offers easy commute with excellent rail and road connectivity, promising an easy life amidst untouched natural environment covered with lush greenery and fresh air. The project offers a huge open garden with an area to exercise, do yoga, and get together. The project is built with 2 and 4 wheeler parking space, multi-purpose community hall, children's play area, pavilion and pergolas with ample seating space. We have truly made the dream of owning a home for the common man easy and achievable.